Hola! Están todo/as bienvenidos a mi nueva cuenta de pinterest. Un portal, totalmente visual, donde puedes compartir tus looks, intereses, inspiraciones, lugares favoritos... Infinidades de cosas y todas en fotos. Qué dicen, sea animan? Hello, probably many of you already knew pinterest but for me its a whole new world! 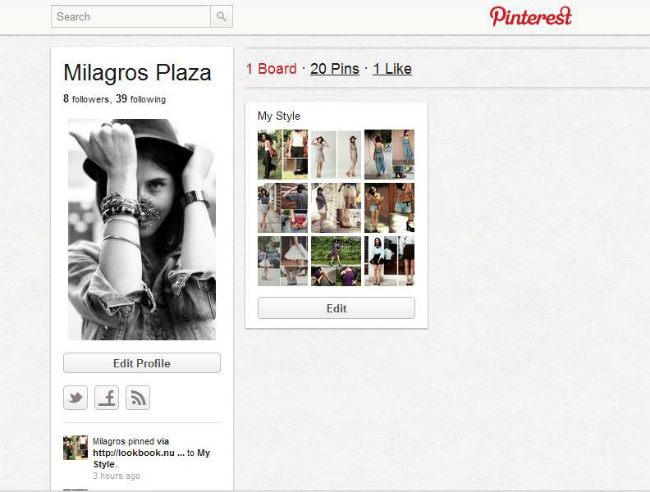 I’m so excited and happy to start to "pin" everything I like on the web and share all my favorite stuff with you guys!